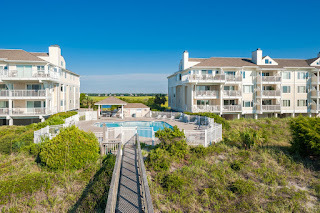 Sea oats, sand, surf, and sunsets! 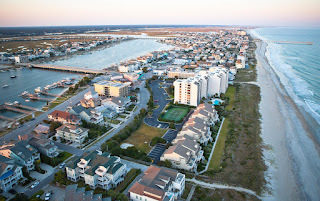 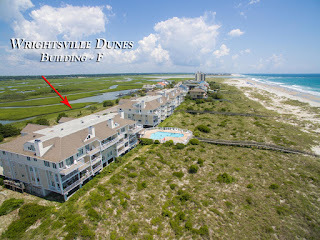 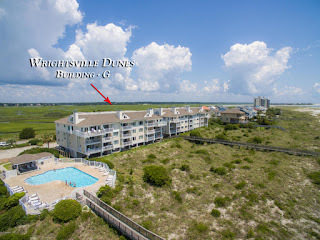 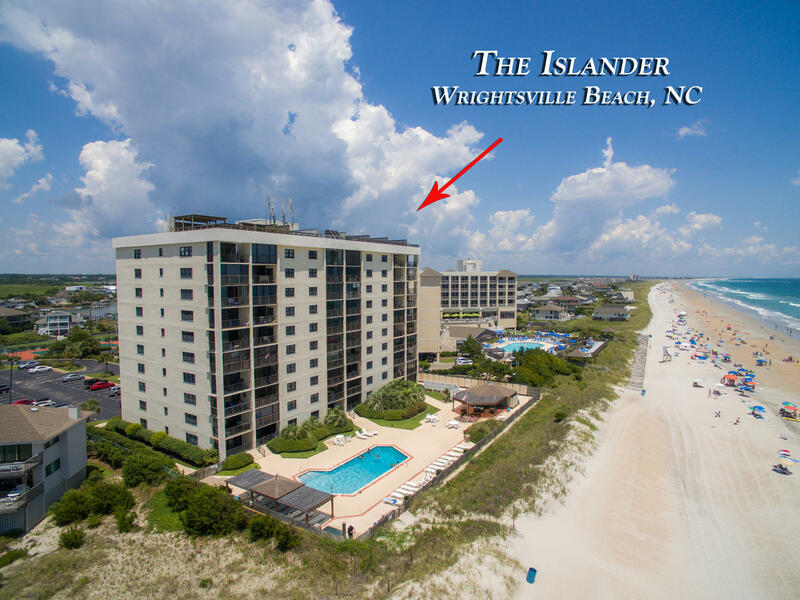 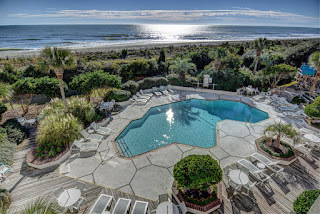 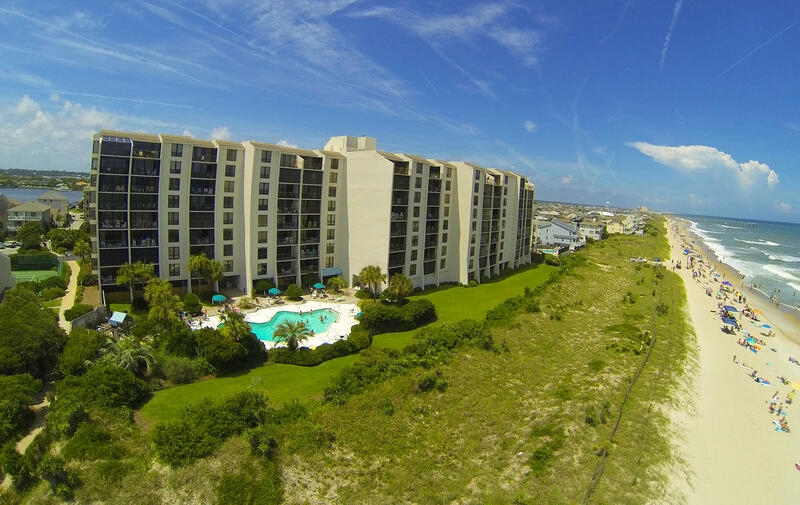 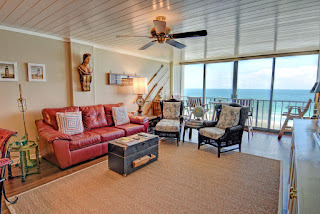 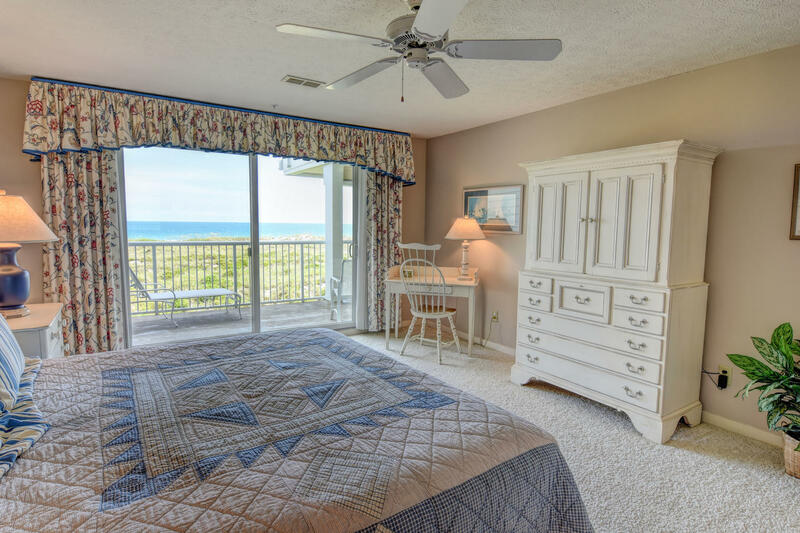 You get them all with this oceanfront coastal charmer in the Wrightsville Dunes complex. 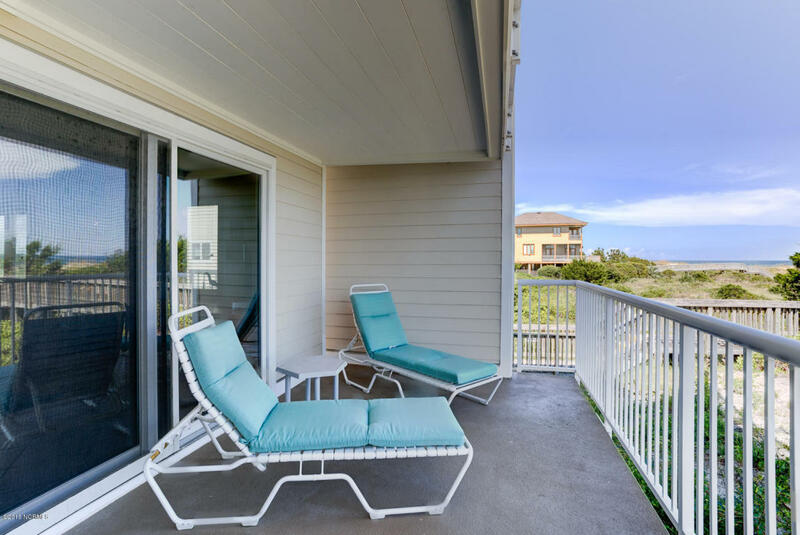 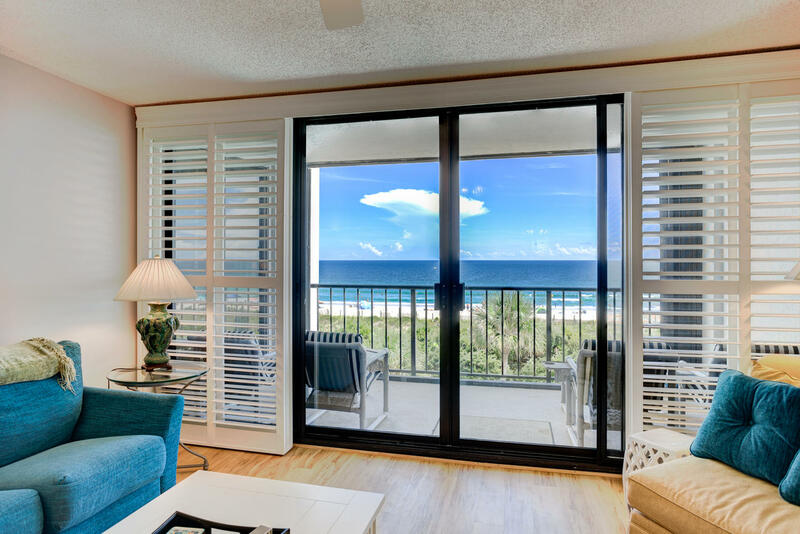 Situated on the peaceful north end of Wrightsville Beach in North Carolina, this beach dream condominium is a highly sought after southern corner unit that combines neutral colors, wide white window mouldings, and plantation blinds throughout for an abundance of cottage chic appeal. 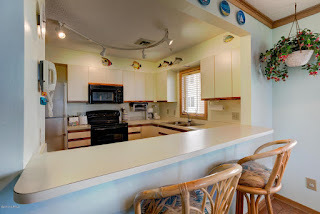 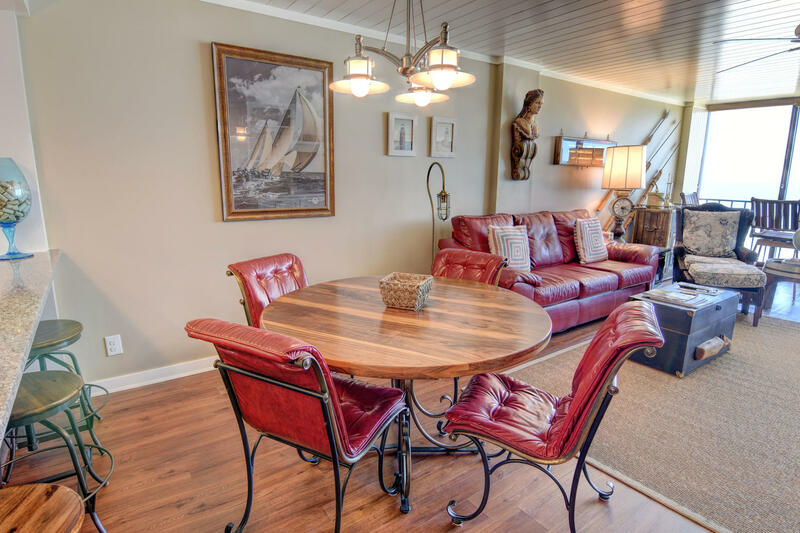 This 3 bedroom, 3 full bath property is the ideal year-round waterfront retreat or vacation rental property. 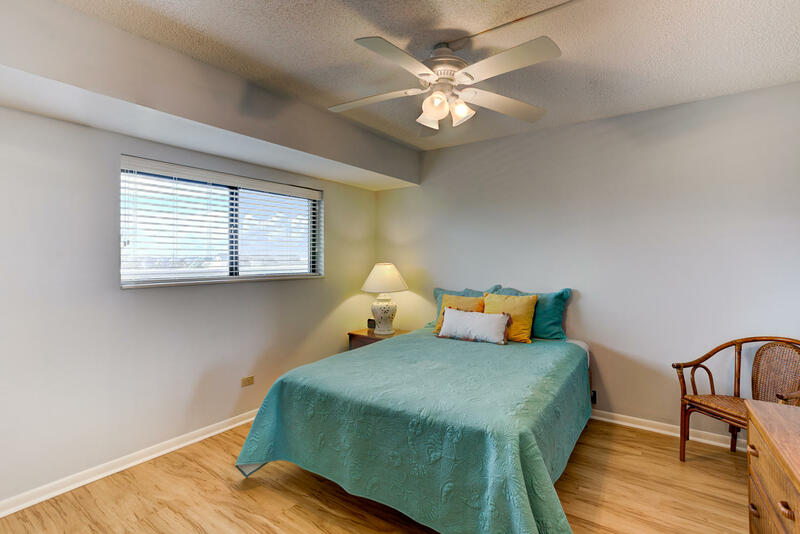 Unit 2-D in Building F conveys fully furnished with few exceptions, so you can move right into this 1,793 square foot residence filled with natural light, spacious living areas, covered balconies, and all the conveniences of carefree, condominium living. The balcony, what we can we say. It's the center piece of this property. 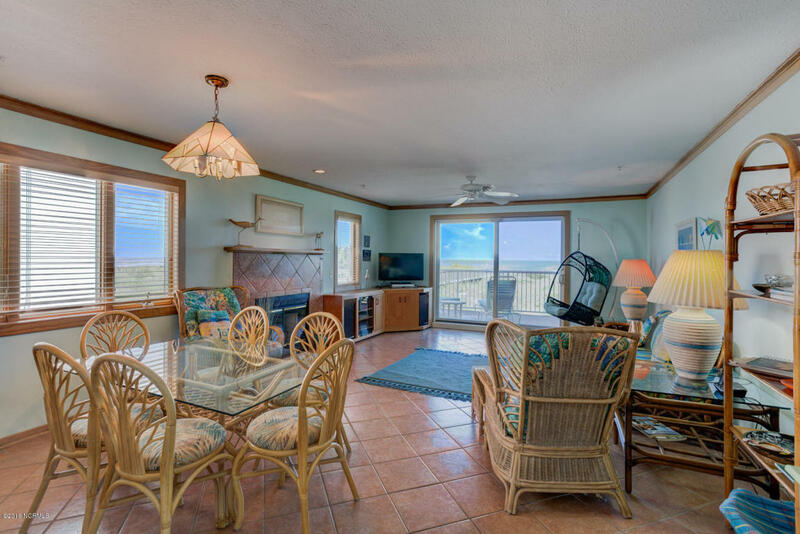 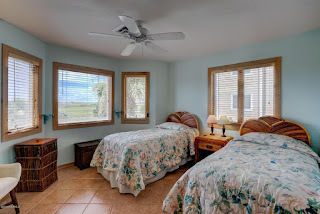 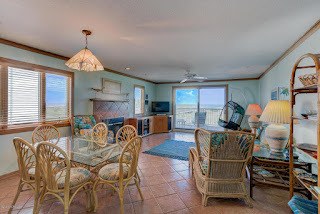 Running the length of the unit, this large covered balcony - with uncovered areas to satisfy the sun worshipers - provides unmatched, unobstructed panoramic views of the Atlantic Ocean, the dunes, and the pristine sandy shore. The ceiling is clean and neat with tongue and groove wood planks. 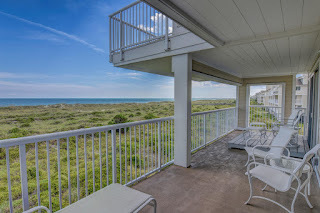 Step inside from the balcony through the sliding glass doors to the spacious open floor plan that lets you enjoy all of the conversations, activities, and goings-on, no matter which area you're in. 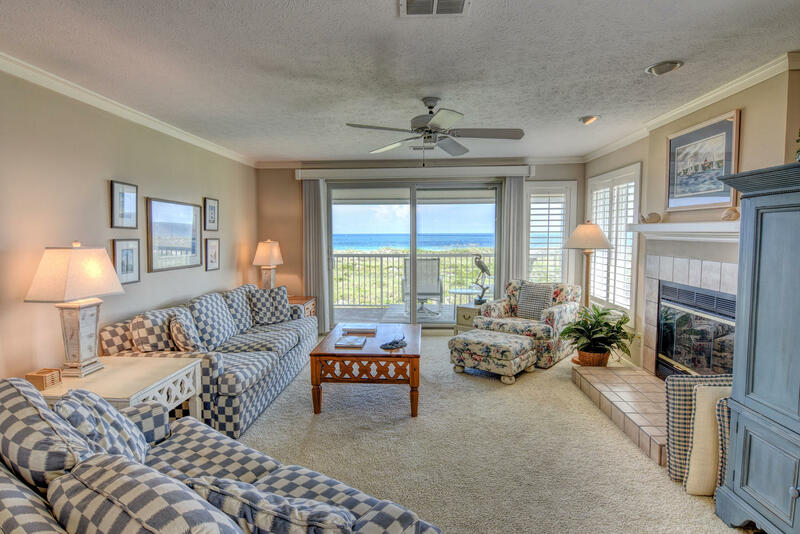 A beautifully tiled fireplace with a raised hearth provides a cozy focal point in the room, perfect for lounging beside of in the oversized chair with a good book in the off-season. 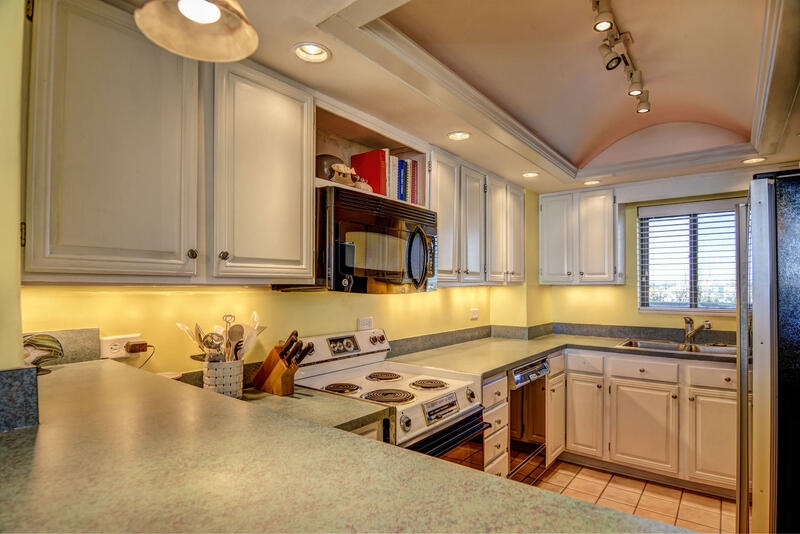 This unit features large built-ins with doors for clutter-free storage. 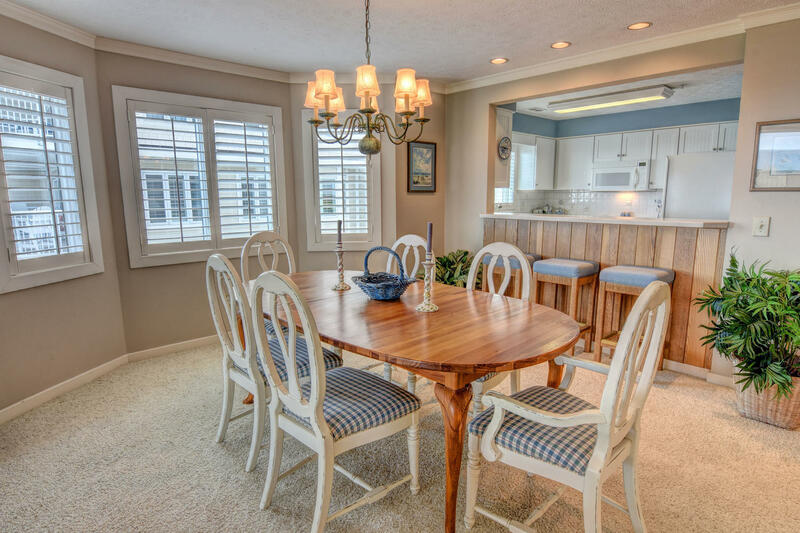 The dining area features a bay nook with a window on every wall for picturesque views while you're sitting down for meals. A bar between the dining and kitchen areas features a contemporary, yet rustic wood façade. 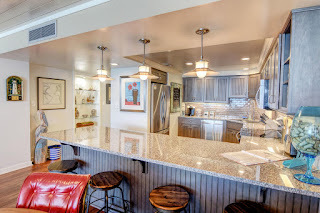 The kitchen is clean, crisp, and white and includes charming cottage style beadboard cabinet doors, a white tile backsplash, white appliances, a white porcelain sink, all perfectly contrasted by beautiful dark wood floors. 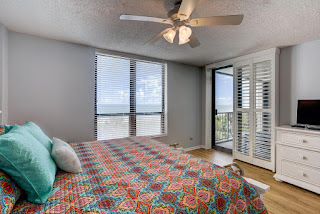 The sliding glass doors in the tastefully furnished master suite provide easy access to the balcony. 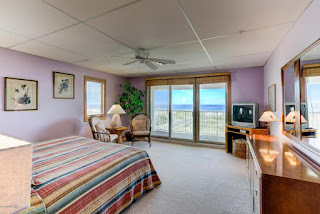 One of the guest rooms also boasts balcony access and windows on most walls. All bedrooms are awash with light and neutral colors and furnishings. 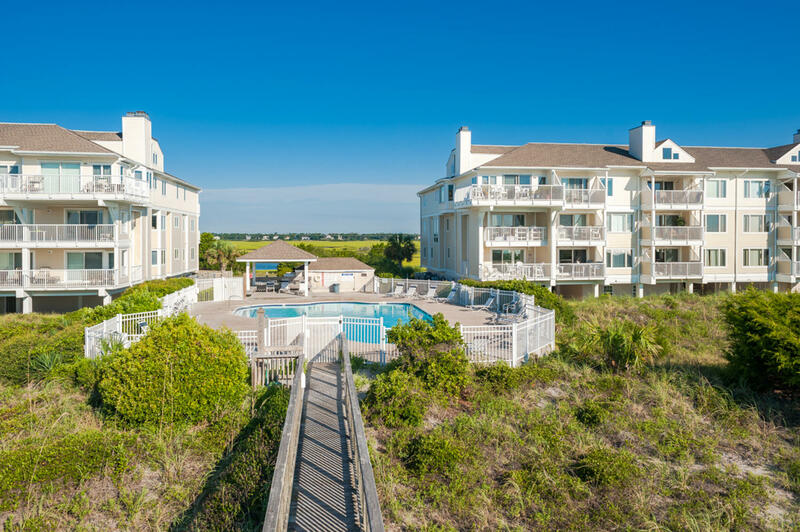 Residents of 2510 N. Lumina Ave. in Wrightsville Beach enjoy a great amenity package including two oceanfront pools, a tennis court, elevator service, and much more. 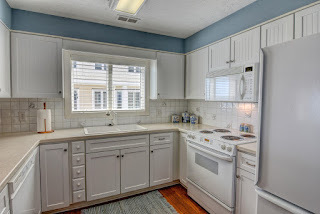 Oh, and Unit 2-D in building F comes complete with covered, premium garage parking. 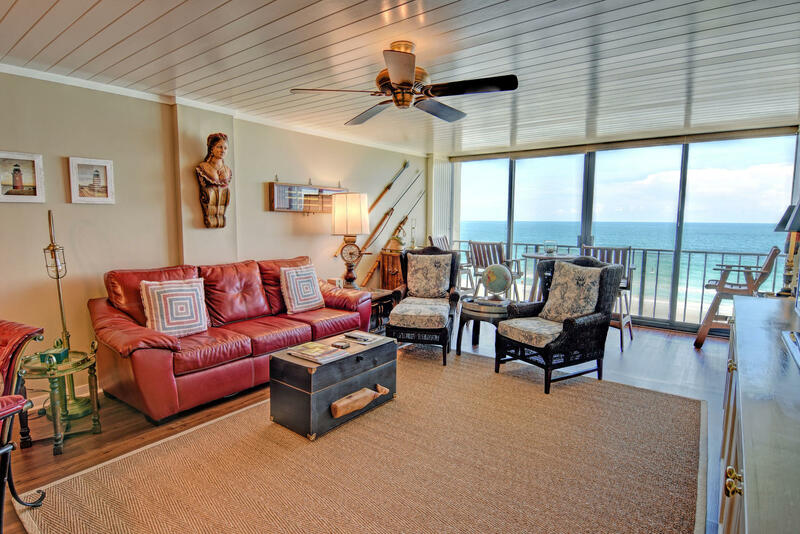 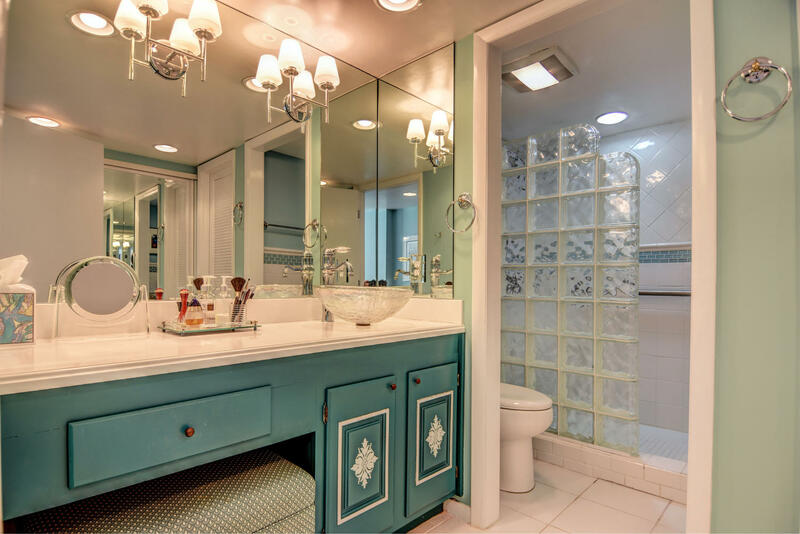 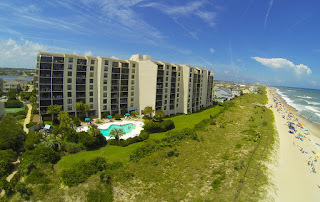 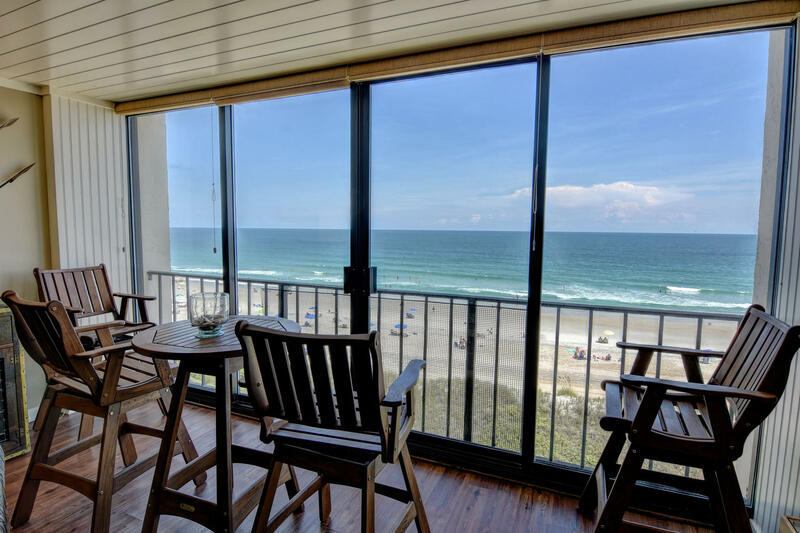 If you have been dreaming of owning an oceanfront property in Wrightsville Beach but were concerned about managing the upkeep when you were not there, then maybe a condo is the answer. 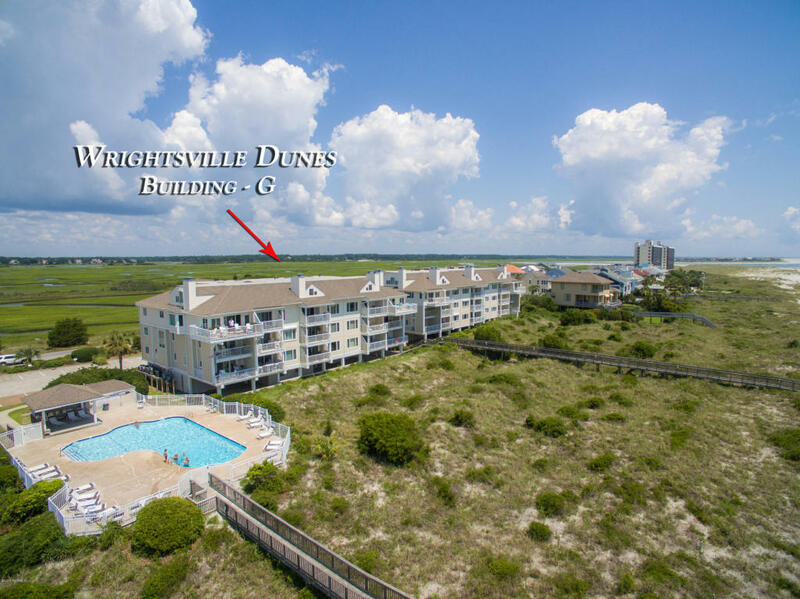 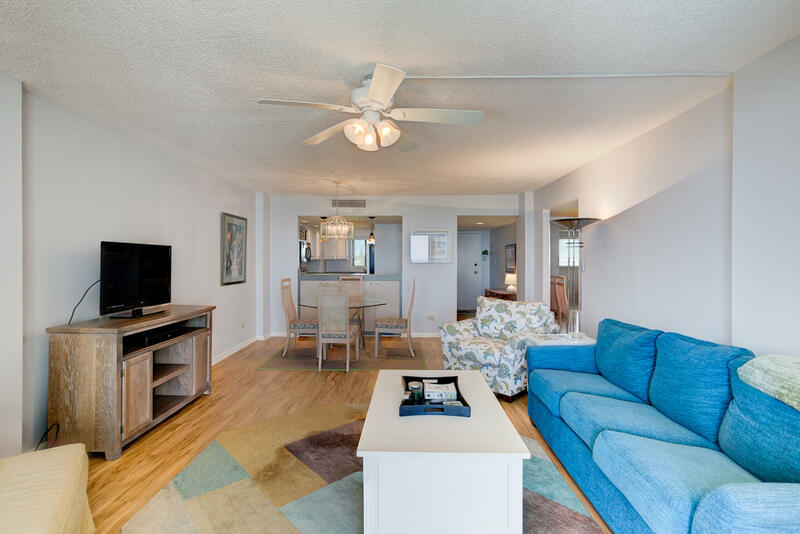 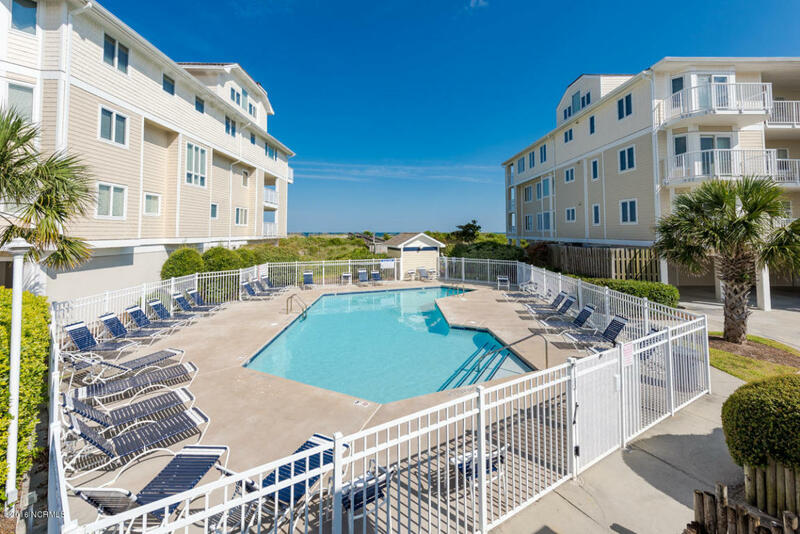 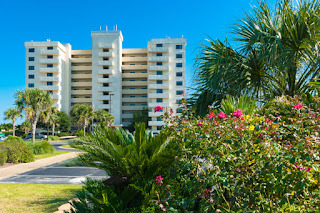 95 S Lumina Ave Unit 3-G is an oceanfront 2 bedroom, 2 bath condo opportunity available at Station One in Wrightsville Beach, NC. Watch friends and family swimming at the private, community pool or watch the boats go by on the ocean from the oceanfront balcony. The balcony is covered for year-round enjoyment and features hurricane shutters for peace of mind. 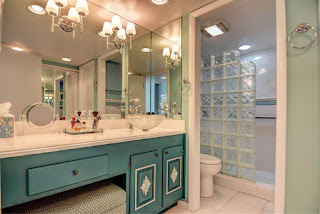 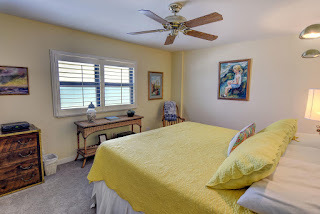 Additionally, the balcony opens via sliders to spacious light filled oceanfront living area, as well as, oceanfront master suite, which enjoys a private bath with updated vanity & shower. Kitchen updates feature raised ceiling design with enhanced lighting features. The ergonomic built-in cabinetry along breakfast bar are perfect for additional storage for kitchen gadgets or snacks for beach days. 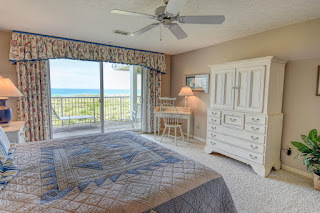 The guest bedroom provides great westerly water views, so everyone can wake up to beach scenes unlike anywhere else on Wrightsville Beach. Move-in ready, 95 S Lumina Ave Unit 3-G has been meticulously kept by the current owner and is ready for your immediate use. 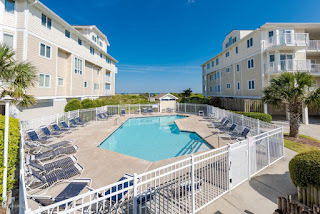 Residents of Station One enjoy amenities that are second to none on Wrightsville Beach, including an oceanfront pool, elevators, clubhouse, tennis court, on-site security, bike storage, laundry facility, grilling areas, covered loading and unloading areas, and so much more. You'll find loads of coastal activities at one of the most family-friendly sections of Wrightsville Beach, including biking, shopping, running the loop, fantastic restaurants, music venues, local neighborhood watering holes, and a public dock.